Danica graduated with her Associate in Applied Science Degree and Dental Hygiene Degree from Gainesville Jr. College and Lanier Technical Institute in 1995. In 2019, she received her Bachelor’s in Dental Hygiene Degree from Clayton State University. As a student, she was awarded the Thomas Hinman Scholarship, and is a member of the National Vocational/Technical Honor Society. 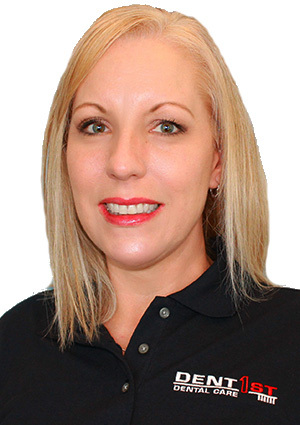 Danica has resided in Flowery Branch since 1990 and has worked to optimize oral health for her community in the South Hall/North Gwinnett area since graduating in 1995. Her favorite aspect of dentistry is making people smile! When she is not working, Danica spends her time with her husband, four children, and dachshund, Archie.